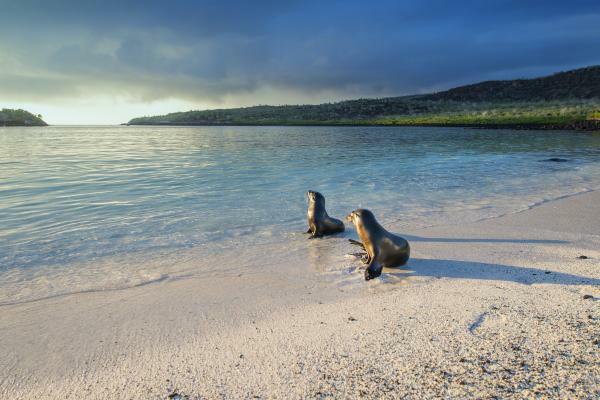 Enjoy this 8-day cruise through the western islands of the Galapagos on the M/V Origin. Highlights of the west include beautiful Santa Cruz, wildlife-rich Isabela, cliff-laden Fernandina, and the amazing black beaches of Santiago. 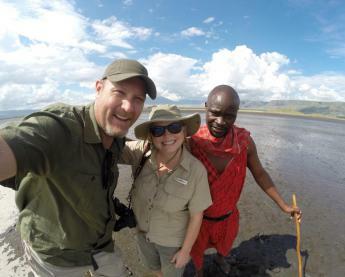 The wildlife here is abundant and the landscape is stunning to behold, making this an incredible vacation. Further explore with optional activities that include kayaking, stand up paddle boarding, snorkeling and more. Upon arrival, you are met at the airport and transfered to the Origin ship for a briefing and a delicious lunch on board. 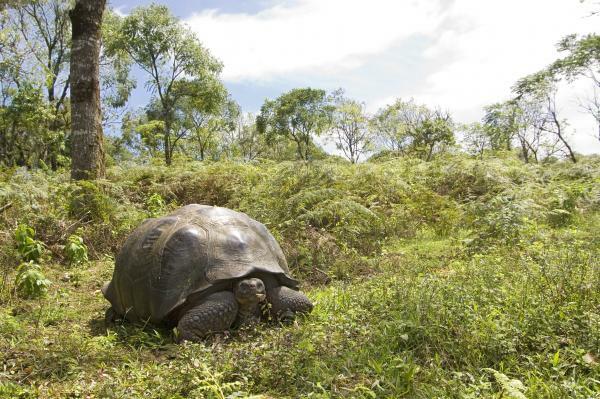 Start your adventure with a visit to a national park with an established breeding program for giant tortoises. See these intriguing creatures in their natural habitat. Along the trails, watch for the San Cristobal mockingbird and Calandrinia plant, both endemic to this island. Return to your ship for the Captain’s welcome cocktail party and dinner prepared by our chefs. 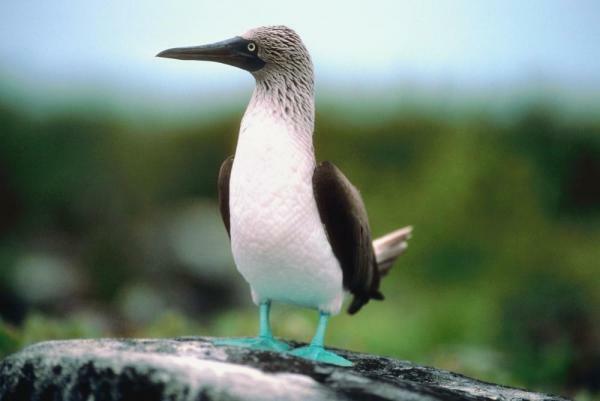 Spend the entire day on Genovesa Island, one of the most spectacular places in Galapagos to see bird species. You will first land at Prince Philip’s Steps, where red-footed boobies nest in palo santo trees, Nazca boobies nest near the trail, and storm petrels gather in an open lava field. With luck, you may see the elusive short-eared owl. Return to the vessel for a casual BBQ lunch on the sun deck to share sightings with other passengers. This afternoon, you can explore the cliffs up close from a kayak or stand-up paddle board. Look for the red-billed tropic bird hiding in the crevices or even snorkel in deeper water from the Zodiac. Eventually you will reach Darwin Bay, a coral sand beach where swallow-tailed and lava gulls gather near the tide pools. 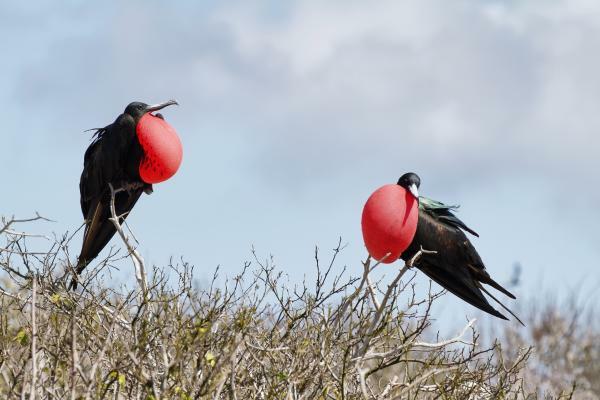 Enter a forest of Optuntia cactus and mangroves where colonies of great frigate birds nest with hopes of seeing one of the males inflating their red-throated pouches to attract females. 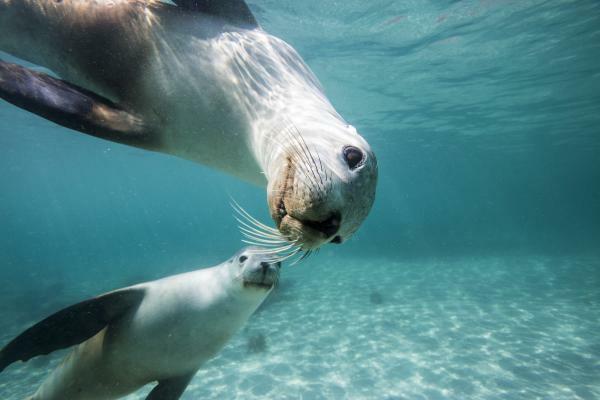 Choose to relax on the beach or swim with sea lions in these northern warmer waters. Return to the yacht for dinner and an evening out on deck as the sky becomes illuminated with stars. Today you will visit Las Bachas on the northern side of Santa Cruz. Explore the long stretch of a white sand beach and the interior lagoons populated by flamingo, then have the opportunity for some wonderful snorkeling. After an exciting morning, return to the Origin for lunch. This afternoon, step shore on Cerro Dragon (Dragon Hill) for a majestic view of the bay and the island landscape. Opuntia cactus, palo santo and muyuyo cover this terrain. Walk along a trail that offers excellent opportunities to see Darwin’s finches, Galapagos flycatchers, yellow warblers, Audubon shearwater, as well as the endemic land iguanas. 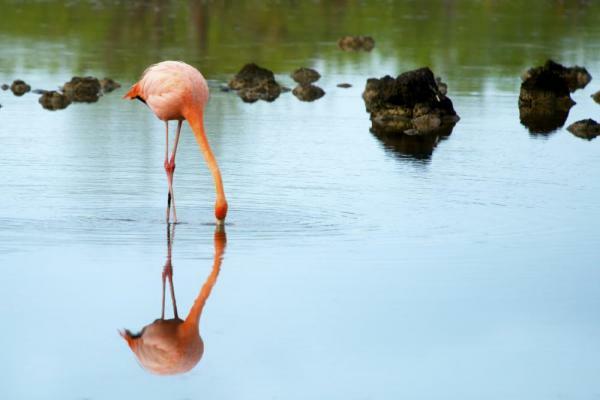 In a nearby saltwater lagoon, pink flamingos feed alongside other birds such as stilts, pintail ducks and sandpipers. After dinner onboard, sail toward the western islands and cross the Equator for the second time this trip. Enjoy a morning visit to Punta Vicente Roca on a Zodiac ride offering an incredible view of the tuff walls, where you will actually enter the wave-sculpted cave. 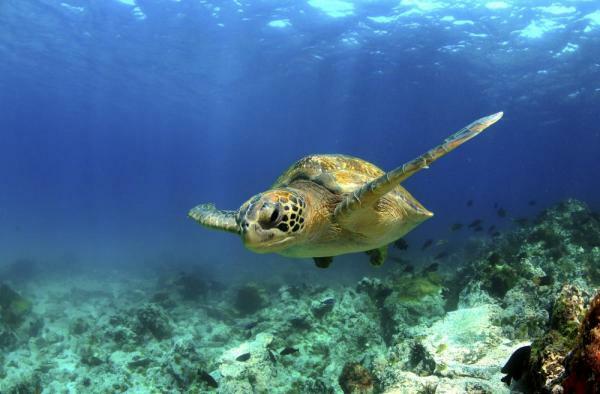 There is an excellent chance to snorkel here and find the penguins and sea turtles that frequent this area. During lunch onboard, your ship will sail through the Bolivar Chanel. Take a seat on deck to view the dramatic scenery and watch for whales and dolphins riding the bow wave. Occasionally the Mola-Mola, an odd looking giant sun fish, is even sighted in these waters. Disembark at Urbina Bay on Isabela Island, where four miles of coastal seabed were exposed due to a dramatic uplift during a volcanic eruption in 1954. You may see the remnants of coral skeletons, some of them waist-high! 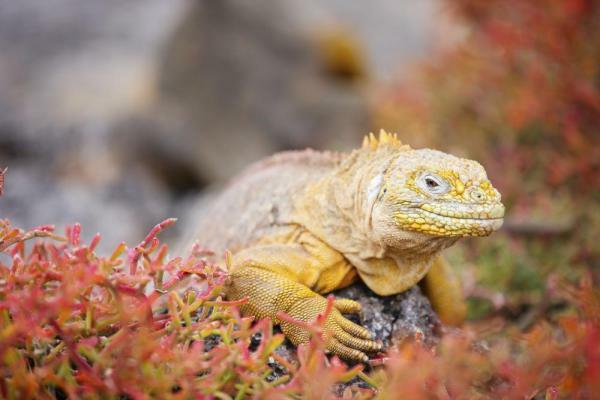 Keep an eye out for the very large and colorful Galapagos land iguanas, as well as marine iguanas, Darwin’s finches, brown pelicans, flightless cormorants, and the occasional giant tortoise. Return to the vessel for dinner. Afterwards, a sky full of stars beckons you to go on deck and observe the galaxy. This morning’s stop is at Punta Espinoza on Fernandina Island, the youngest and most pristine Island in Galapagos with no introduced animals! Recent lava flows formed by an active volcano have stretched their way around the coast. Observe sea lion harems with resident bulls carefully guarding their territory, and hundreds of marine Iguanas - the largest colony in Galapagos - basking in the sun along the rugged shoreline. Out on the point, you can see how the Flightless Cormorants build their nests close to shore since they have lost their ability to fly. Take the opportunity to snorkel here with large sea turtles that frequent this area before returning to the Origin for a much-needed lunch. This afternoon, you will go ashore on Tagus Cove, a favorite anchorage for pirates and whalers over the centuries. Sections of the rocky cliffs are uniquely covered with graffiti dating back to the 1800's. An uphill hike takes you to a saltwater lagoon and a scenic overlook with a spectacular view of the ocean, lava fields and volcanic formations. Take advantage of this secluded cove to explore the shoreline by kayak or stand up paddle board. 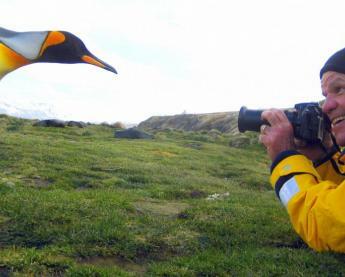 Keep your eyes peeled for Galapagos penguins, boobies, pelicans and other seabirds. Return to the yacht for dinner as we cross the Equator for the last time and get a visit from King Neptune! This morning, disembark on Rabida, a small island considered the geographic center of Galapagos because its volcanic rocks are the most diversified in the archipelago. Notice the dark red color of the beach comes from the high iron content in the volcanic stones. 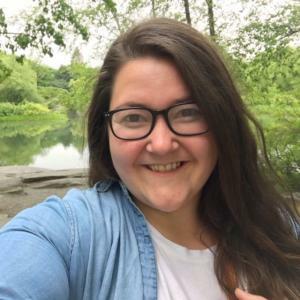 A hiking trail takes you to a saltwater lagoon where greater flamingos migrate, but keep an eye out for marine iguanas, mockingbirds, yellow warblers and Darwin’s finches. Afterwards, do not miss an opportunity to snorkel with a colony of sea lions and rays. This afternoon, take a Zodiac excursion at Caleta Tortuga Negra (Black Turtle Cove) through a series of coves and inlets surrounded by mangroves. View pairs of mating sea turtles (if visiting September to February), white-tipped reef sharks and golden cow-nosed rays. Return to the vessel for the Captain’s Farewell cocktail party and dinner, as well as a special presentation by your guides. Disembark at Puerto Ayora on Santa Cruz Island, the social heart of the Galapagos with a population of 24,000 humans. Travel by bus to the highlands, passing through all seven vegetation zones found in Galapagos. You will have the chance to visit Rancho El Manzanillo, a privately-owned hacienda where giant tortoises roam in their natural habitat. Stop at the lava tunnels that are so large you can walk through them, and visit Los Gemelos (The Twins) - a pair of large craters. Return to the yacht for lunch on board. Later this afternoon, visit the Centro de Crianza Fausto Llerena - formerly called the Charles Darwin Research Station. Visit the tortoise corals and breeding center with hatchlings and miniature tortoises that will be repatriated when fully grown. Enjoy the new exhibit honoring Lonesome George who was a worldwide icon of conservation as the last surviving tortoise from Pinta Island that tragically died of natural causes. Your day will also include a stop at a local chocolate shop to learn how high quality Arriba cacao is produced in Ecuador. Stroll through town to shop for souvenirs or stop at an internet café or museum to stimulate the local economy. Return to the yacht for dinner or, if you wish, remain ashore for dinner at a local restaurant on your own. Zodiac shuttles from the yachts to the main dock will be offered throughout the evening. Travel by bus to the Interpretation Center on San Cristobal to gain a more complete understanding of the natural and human history of the Islands. Afterwards, spend as much time as you have in port before heading to the airport for your flight back to the mainland and homeward. Travelers on this yacht need to pre-pay the Galapagos Islands National Park Fee. The entrance fee to the National Park is $100 for adults and $50 for children 11 and younger and is not included in the cruise rate. Please note the M/V Origin & Theory has an open bar policy. 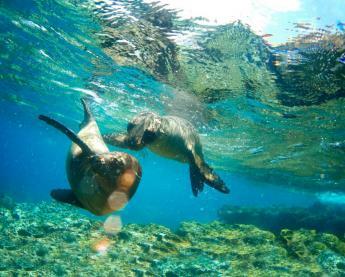 25% discount for children age 11 and younger at time of Galapagos cruise. 15% discount for children age 12-17 at time of Galapagos cruise.